So, here I am; publishing my instructions under a Creative Commons Attribution Non-commercial Share Alike (by-nc-sa) (CC BY-NC-SA 4.0). I’m all OK with anyone using it, but I’d like some credit and maybe even my playa name and picture on the label. One cup of ice in a cup or glass. Three or four shakes of Old Bay Seasoning . A few drops of Tabasco or Sriracha , if desired. 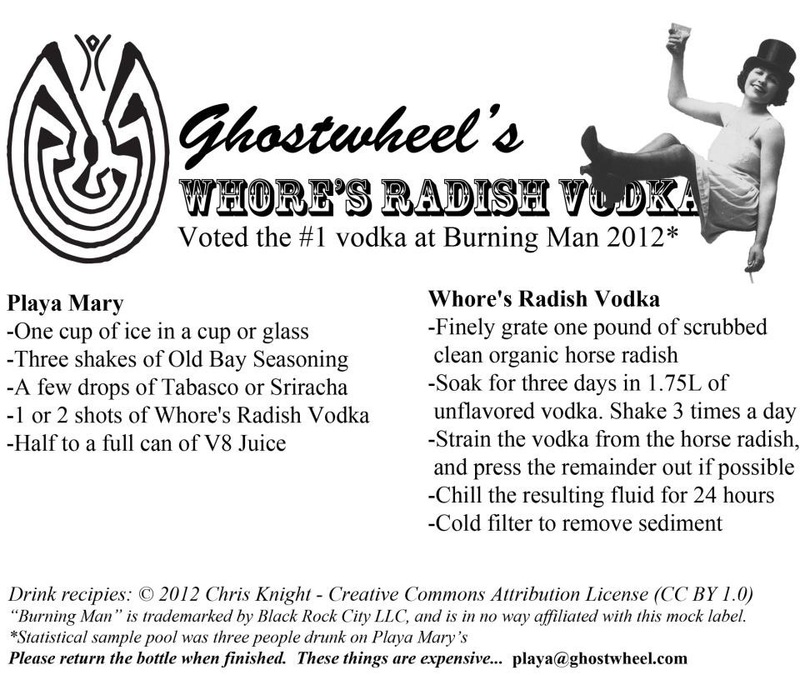 One or two shots of Whore's Radish Vodka.